Mostly Books bookshop in Abingdon : Could you write the next chapter for Mostly Books? Could you write the next chapter for Mostly Books? It's been nearly a year since we made the difficult decision to put Mostly Books up for sale. Since then, we've had a lot of people ask us about how our plans are proceeding to transition the shop to new owners, so we thought you might appreciate us taking the opportunity to keep you informed on the latest developments. 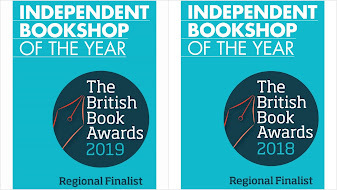 Having spoken to other booksellers who have gone through the same process, we were told that the process would be a slow one! We have had much interest – from all over the world - but so far, for various reasons, all have decided not to proceed. The reasons for knowing we will no longer be able to continue running Mostly Books in the long-term future are very personal. Not surprisingly, most of the potential buyers reasons for not proceeding have been personal too – and it probably comes as no surprise that Abingdon is an expensive place to relocate to. But we are still actively looking for someone to take on Mostly Books. We feel it has an important place in the community, and we believe it is one of the most rewarding jobs in the world. We love doing events, doing outreach work in schools, and recommending the right books to the right people. So we feel the right person is out there who will want to come in and continue the Mostly Books story. We just haven’t found them yet. Do you know anyone who would like to own a bookshop? We want to cast our net as widely as possible to find the right person. You can find out more here. From a business point of view, we have taken feedback from some of that early interest, and have reduced the asking price of the business, which makes it less of a financial commitment for anyone buying Mostly Books. We have a very experienced team - who have been involved in our decisions at every stage, so anyone wanting to have a life in books would find they could make the hours very flexible to fit their lifestyle. We believe that the right person will want to come in to Mostly Books, and use it as a platform to bring their own ideas and enthusiasms, whether it's different events or even (as we discussed with one potential buyer) opening up the back to create extra space and a cafe. We have been interested in the ideas that people expressing an interest have talked to us about, but no-one has been quite right, quite yet. We are very open to suggestions, and if you want to talk to us about your ideas - shared ownership, community ownership – we're keen to listen. Even if you think you know nothing about bookselling, but have a passion for books, we'll definitely be here to guide you through the process. Full training will be given! What a tough decision that must have been. What next for House Thornton? Thanks Ben. No, it wasn't an easy decision and you can be sure we thought very long and hard about it. But we do believe strongly that this is the best way forward. You will be a difficult act for anybody to follow. Sorry to hear that. I live just too far to have been a regular customer but it's always a pleasure to find myself in Abingdon with half an hour to spend in your great shop. I agree, Backstreeter! Good luck with everything and thank you for putting such a feather in Abingdon's cap. I live in Bicester and began to receive the weekly newsletter after asking for tickets to the Jeffrey Deaver event you organised at Harwell a few years back. 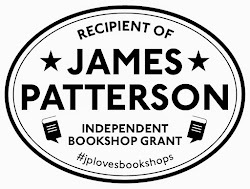 As a book lover I am sorry to hear that you have taken the decision to sell the business - there are far too few independent book sellers around these days - but I wish you both all the very best for the future and I hope that Mostly Books continues to thrive when a new owner is found. Best wishes from Steve Lewis. Dear Steve - this is a lovely comment Steve, thank you - we too have fond memories of that event! I had no idea you were selling up. Very sad news. If I could afford to buy the shop I'd never be able to run it as well as you all do.